Golden Rainbow of Nevada, Inc. | Make a Difference! 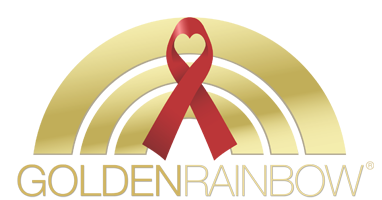 Golden Rainbow provides housing, education and direct financial assistance to men, women and children living with HIV/AIDS in southern Nevada. By making an online contribution you will assist us in furthering our important mission. Golden Rainbow is a 501(c)(3) tax exempt organization, all donations to Golden Rainbow are tax deductible. Golden Rainbow of Nevada, Inc. has partnered with Network for Good to securely process your online credit card payment via Network for Good (tax ID 68-0480736). This transaction will appear on your credit card statement as "Network for Good." This transaction is subject to Network for Good’s Privacy, Security & Disclosure Statement and the Charitable Solicitation Disclosure.